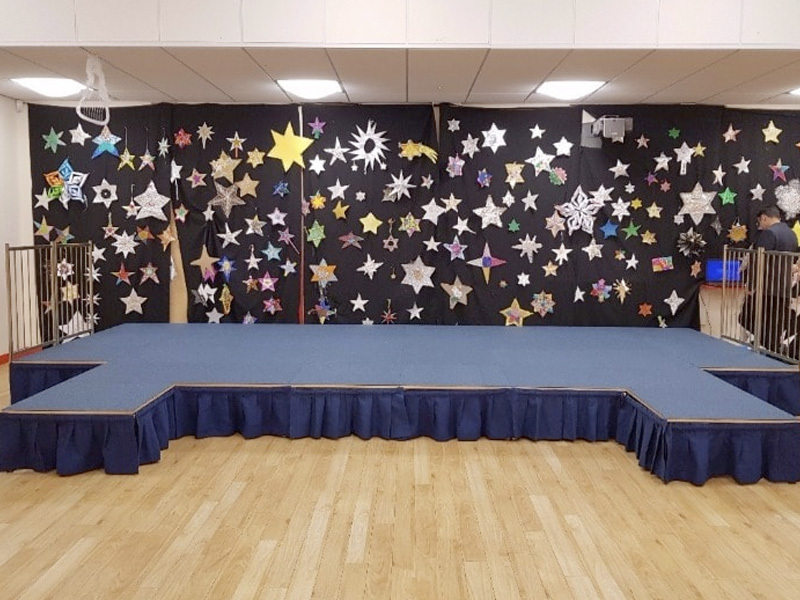 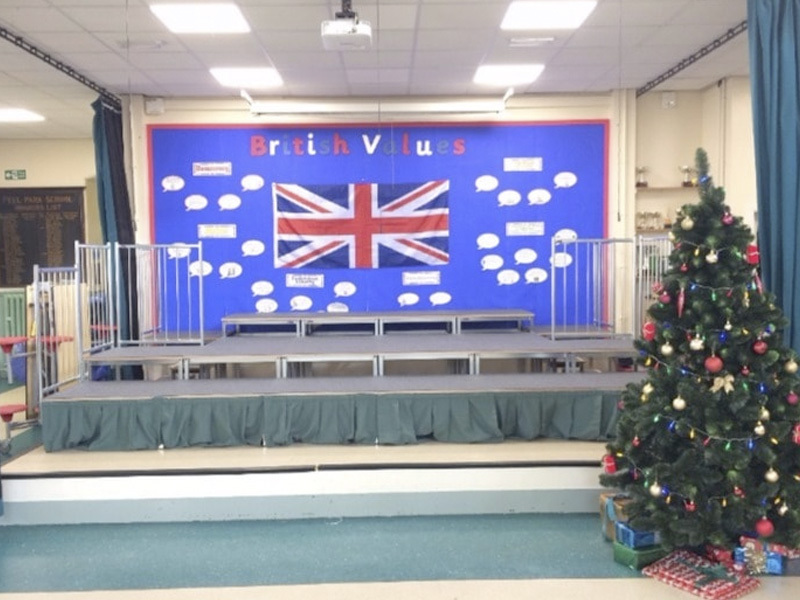 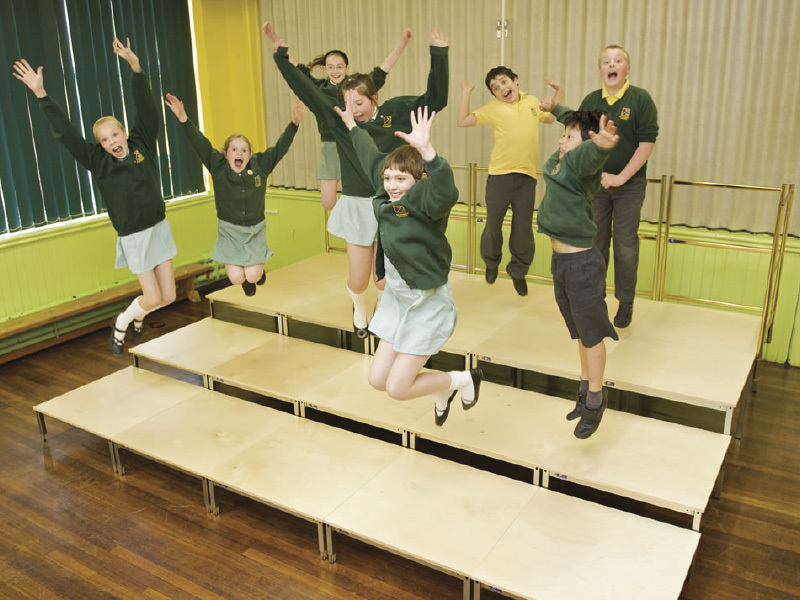 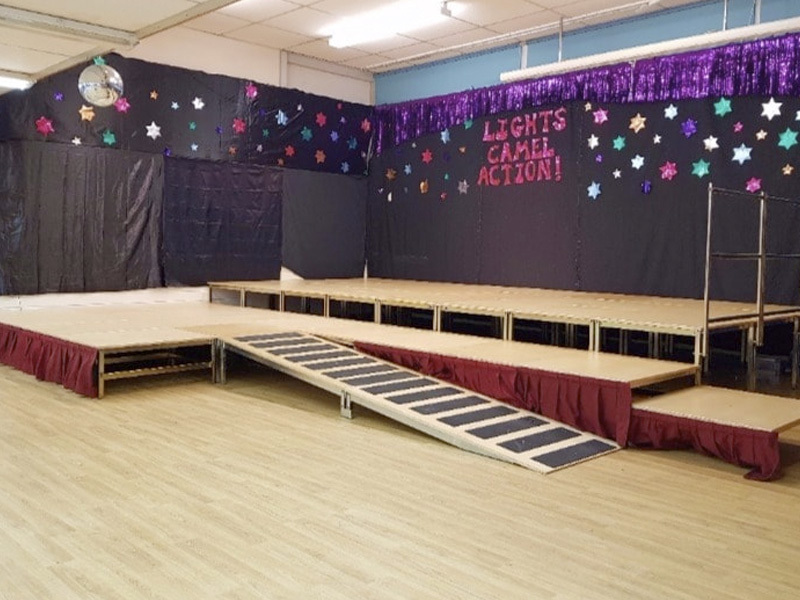 Our multi-level staging is ideal for choirs and orchestras but can also be used as a flat stage too, making them a flexible and cost-effective choice for any venue. 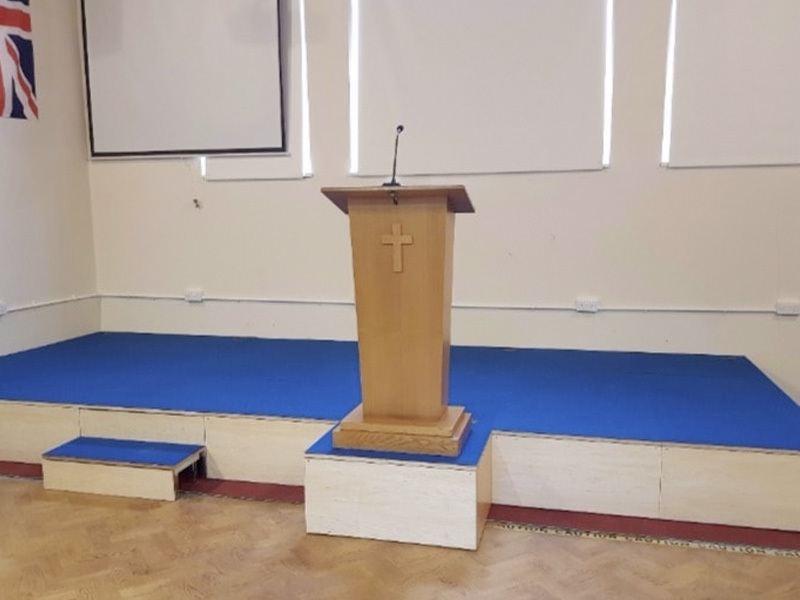 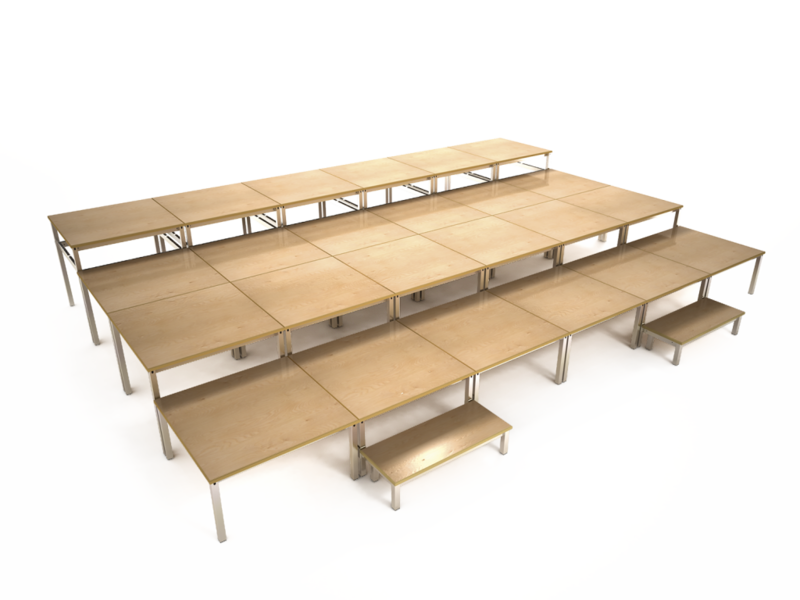 No tools or extra parts are needed, and our stacker frames fit into standard frames, enabling you to build a stage of three or more varying heights with minimal fuss. 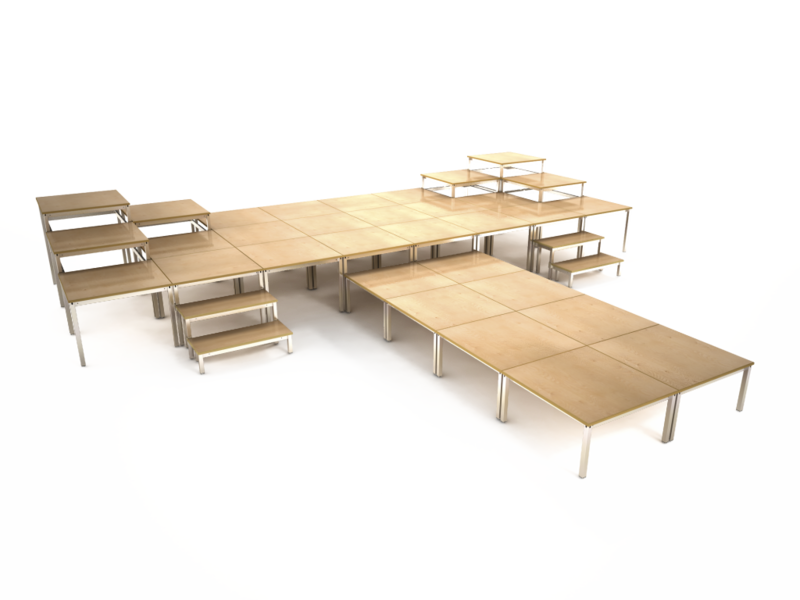 The stage is modular and can be configured to a range of different layouts and heights to suit every occasion. 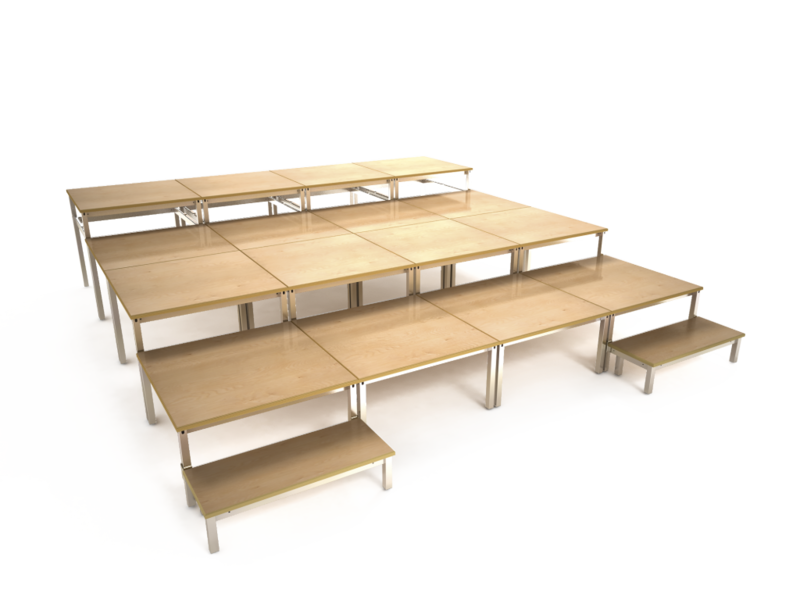 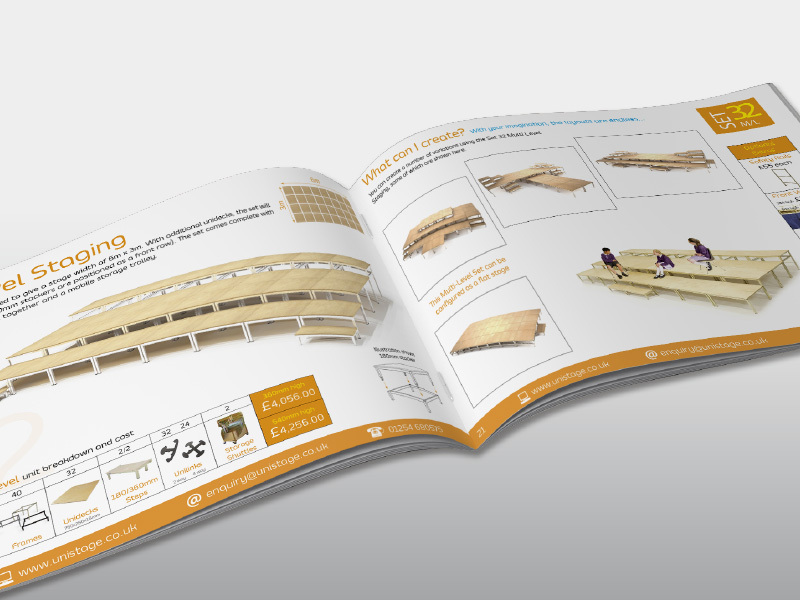 If you’re interested in finding out more about our modular multi-level staging, our helpful customer care team is on hand to advise and answer your questions. 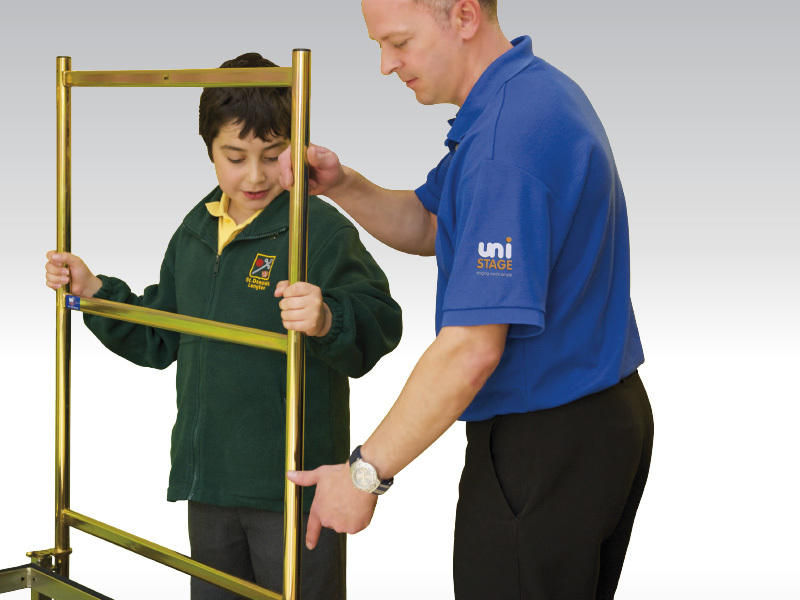 Contact us today for a free, no obligation quotation on a UniStage solution to suit your needs.